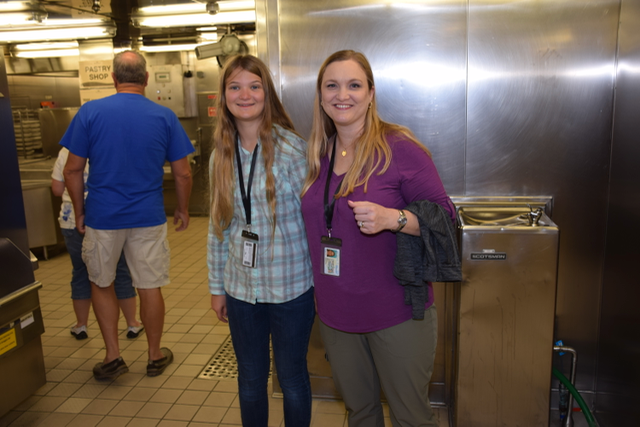 After the presentation we were led on a tour of the galley, with the rough seas, it was a bit challenging to walk around the kitchen, especially on some slick floors. Over my seven lifetime cruises, I’ve never been nauseous due to seasickness, but this morning I did get a bit dizzy. The kitchen was pretty cool and even had an escalator to navigate between to two dining rooms. 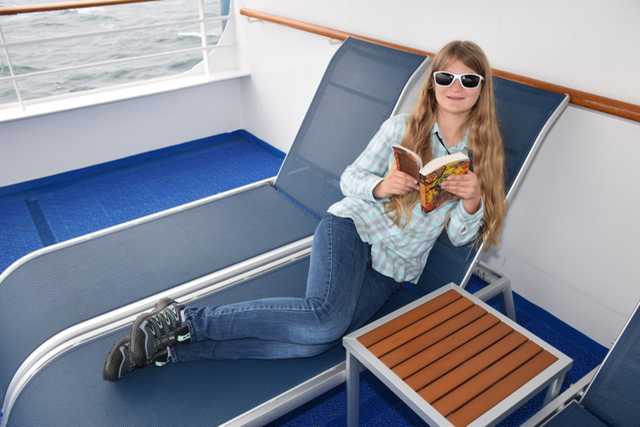 After the tour, we picked up Sara from kids club and then went to the back of the ship on deck 10 and relaxed in the lounge chairs. It was chilly and rainy for most of the day, so eventually we decided to head back to the room and warm up for a bit. We grabbed some lunch from the pizza place and Horizon Court before dropping Kate and Sara off at kids club for the afternoon. Olivia and I spent most of the remainder of the afternoon packing before picking up the girls. For dinner in the Bordeaux Dining Room we got to say our goodbyes to Ador and Snezana, who were so nice to us all week. Since we signed up for “Anytime Dining,” I was not expecting to have the same servers, but we sat in their section every night. My last dinner was New York Strip with Baked Alaska for dessert. 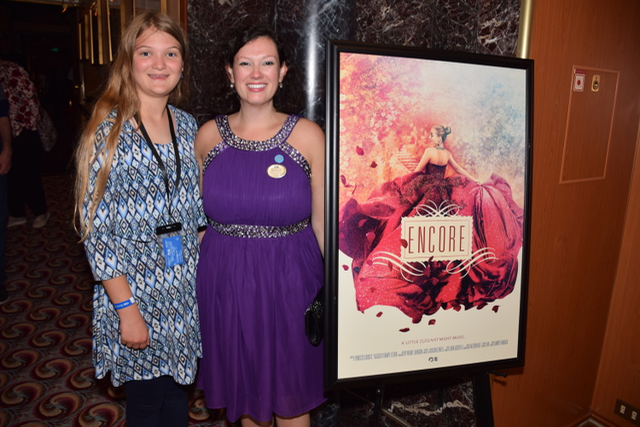 After dinner, we took Sara to the pajama party in the kids club and then the rest of us went to see the production show “Encore” in the Princess Theater. It was a really good show. 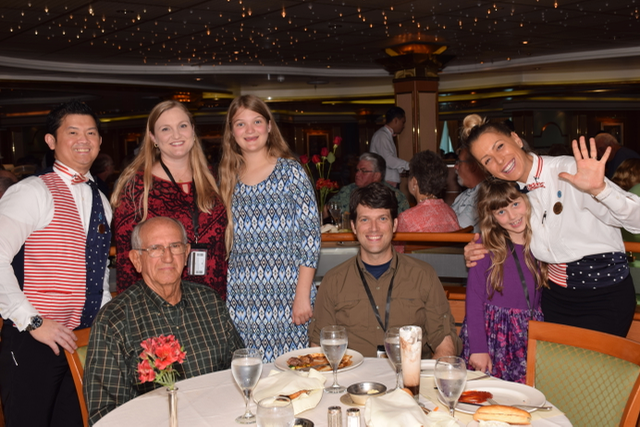 After the show, Kate got a picture with the Cruise Director Miranda, and then we rested in the room for a bit before picking up Kate from Kids Club and then turning in. Tomorrow we disembark in Vancouver and then start the journey home.